2What is a cash-out refinance loan? 3How Does a Cash-Out Refinance Loan Differ from Rate and Term Refinancing? 4How do I qualify for a cash-out refinance loan? 5How does a cash-out refinance loan work? 6When is a cash-out refinance loan a good idea? 7What are the benefits of a cash-out refinance loan? 8How much of my home's equity can I get in a cash-out refinance loan? 9If I've already refinanced my home, can I still do a cash-out refinance? 10Do I have to pay closing costs as a part of a cash-out refinance? After years of paying your mortgage, you’ve likely built up quite a bit of equity in your home. Typically, the only way to liquidate that equity would be to sell. However, a cash-out refinance loan allows you to access the cash you’ve accumulated in your home’s value; here’s everything you need to know. What is a cash-out refinance loan? A cash-out refinance loan is a type of loan that allows you to refinance your home by borrowing more than you currently owe, keeping the difference in cash. How Does a Cash-Out Refinance Loan Differ from Rate and Term Refinancing? Both types of loans require taking out a new loan to pay off your existing mortgage. With a rate and term refinance loan you borrow the same amount that you currently owe. The goal of this type of loan is getting a lower interest rate, a different term, or both. With a cash-out refinance, your rate and term can still change, but the goal is to borrow more than you currently owe on your home and use the excess cash for something else. How do I qualify for a cash-out refinance loan? To qualify for a cash-out refinance loan you will need to get your home appraised. The appraisal value will impact how much money you can take out. Your creditworthiness, debt-to-income ratio, and the amount of equity you have in your home are all major considerations when qualifying for a cash-out refinance loan. A cash-out refinance gives you access to the existing equity in your home. You will refinance your current mortgage into a new loan with a higher outstanding balance. You will use this higher balance to pay off the existing mortgage, keeping the difference in cash. The amount of cash you receive is based on the difference between your home’s current market value and the balance that remained on your original mortgage. When is a cash-out refinance loan a good idea? 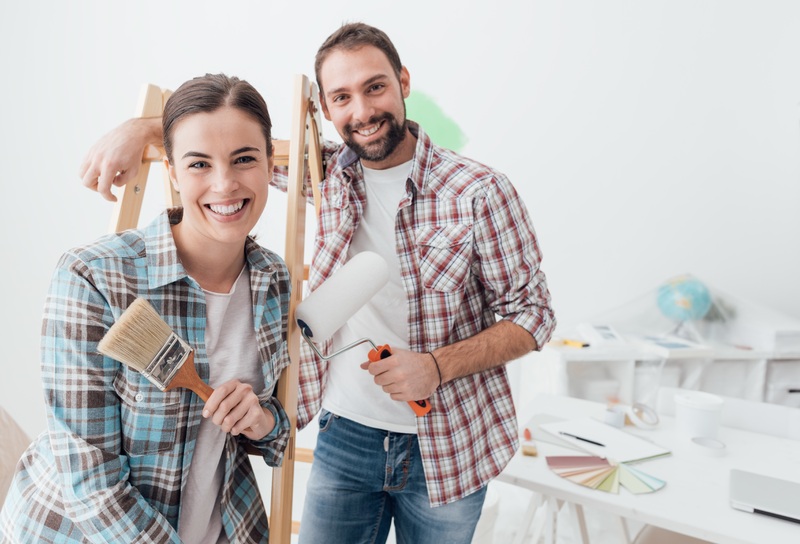 A cash-out refinance loan is a great option if you want to complete home repairs or renovations. These updates can end up paying for themselves by increasing your home’s value. The cash you receive can also be used to consolidate debt. You may be able to save significant amounts of money by paying off any high-interest debt from credit cards or personal loans. The cash from your home’s equity can also be used to fund higher education. What are the benefits of a cash-out refinance loan? There are several benefits of a cash-out refinance loan. Because it is based on the equity in your home, it can amount to a large sum of cash, tens or hundreds of thousands of dollars. Since the loan is secured by your home, interest rates are low compared to other types of borrowing. Through this refinance you can also adjust the term of your loan which may result in smaller monthly obligations. How much of my home's equity can I get in a cash-out refinance loan? Typically, lenders limit a loan to 80% of your home’s value. This still rule of thumb still applies to cash-out refinances. For example, if your home is currently valued at $300,000, and your current mortgage balance is $100,000, you can use the equity in your home to refinance your mortgage up to the full 80% or $240,000. By refinancing and borrowing $240,000, you will pay off your current loan of $100,000 and have an additional $140,000 to spend on renovations. If I've already refinanced my home, can I still do a cash-out refinance? There is not a limit on the number of times you can refinance your home. If you’ve refinanced in the past to change the rate and/or term of your mortgage, you can still do a cash-out refinance to access the equity in your home. Do I have to pay closing costs as a part of a cash-out refinance? Closing costs are a part of a cash-out refinance loan, just as they are with many types of mortgages. However, while these costs can run into the thousands of dollars, it doesn’t necessarily mean you need to come out of pocket at the closing table. One advantage of a cash-out refinance is that the funds you receive in cash from your home’s equity can be used to pay closing costs. All of Our Cash-Out Refinance Resources in One Place. The Cash-Out Refinance Kit is a resource we've developed to help make the refinance process more understandable. We understand refinancing is a big decision. The more information you have, the more likely you can make the right decision for you and your family. The tool kit conveniently places all of the cash-out refinance resources in one place. Click on the button below to download the kit today. With a cash-out loan, you can use the equity in your home to consolidate other debt or to fund other expenses. Not sure if a cash-out refinance loan is right for you? Understanding the details of a cash-out refinance loan can be a bit overwhelming so it makes sense to learn more about it. We've created a short, easy-to-watch video on the basics of a cash-out refinance loan. It's also good for you to know that we are a click away from answering any questions you have regarding cash-out refinance loans.